Intercession: The heart of prayer? I once read a book that said that worship was the most important form of prayer. This may be right, but I am not always certain that worship is prayer. Not etymologically, and certainly not in the biblical record. When St Paul exhorts people to pray, it seems often to focus on bringing petitions before God. According to a little booklet I got of 30 days of prayer with Andrew Murray (purchased at Hull’s Family Bookstore, Thunder Bay, Ontario), intercession is the most important form of prayer. I do not wish to say which of the forms of prayer — things like the Jesus Prayer or intercession or worship or confession of sins — is most important out of those that have been offered up as candidates. However, I think intercession should be at the heart of our prayer activity as we commune with God in our quiet place. I hold this belief for several reasons. One is the etymological fallacy, that the English word ‘to pray’ originally means ‘to make a request’ — and the request is not always from God. 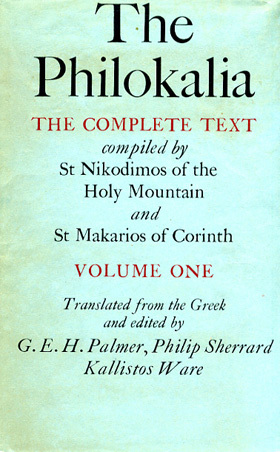 This is not, however, simply the etymology of English, but also the meaning of the Greek used in our Bibles. 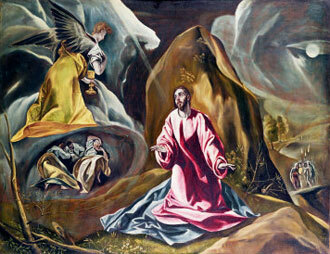 Luke 22:40, Christ tells the Disciples on the Mt of Olives to pray that they not fall into temptation, using the verb proseuchomai,* and then goes off to pray to the Father — once again, proseuchomai and that which he offers to God is a proseuche. ** This Greek word, proseuchomai, means to make a request or offer a petition; its related noun means a request, a petition, or a vow, often one made to a god. I believe that getting to the root of the words we see in any text is an important aspect of study. What does the Bible mean by prayer? What is its root? What is its cultural context? etc, etc. Of course, a petition need not be intercessory. 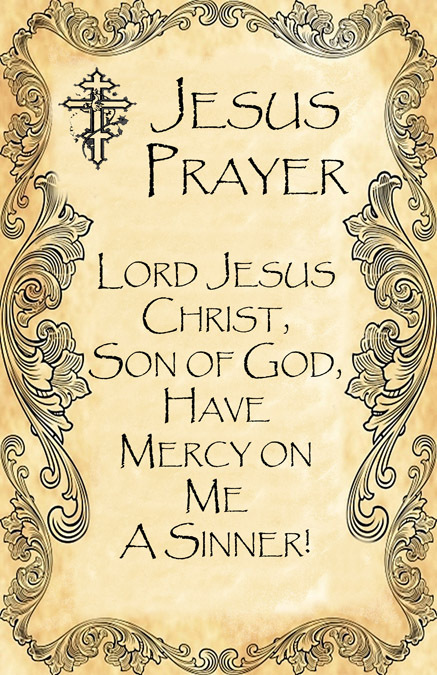 The standard form of the Jesus Prayer is a petition, ‘Lord Jesus Christ, Son of God, have mercy on me, a sinner.’ But it is not an intercession. Intercession, as an English word, is a particular form of petition. It is a petition made on behalf of someone else. The intercessor stands in the breach between a person or situation and the gracious God, pleading that Our Lord will have mercy and bring his love and mercy to bear on a particular situation. So here I come to my final two reasons why I think intercession is at the heart of prayer. Not only is it biblical, it is also unselfish. It is an act of utter charity. Intercessions are not prayers about me — my cold, my loud flatmates, my financial situation, my research and so forth. Intercessions are prayers that are focussed on others. As Christians, we are called to be servants of all. We are called to give up ourselves for others. We are called to live not for ourselves. We are called to live in complete charity. Finally, intercession brings us before God in a bold way that some may think lacks humility. Who am I to ask anything for anyone else before God? God is God. He is the most powerful, majestic, awesome, beautiful being in the universe. He sustains all things by his hand and brought them into existence by a mere word. This is why we must intercede before God for others. We need to learn that our God is not like the gods of the ‘pagans’. He is not distant. He is not so far beyond us that we cannot approach his throne ourselves. We do not need any mediator besides Christ (who is himself God!). He does not require long, complicated rituals for us to access him. He does not delegat the task of hearing petitions and intercessions to his minions. God, Himself, wants to hear from us. He wants us to join him in his task of redemption, and this includes interceding for those around us. We should do it in humility, but in love not quaking fear. *For Hellonphiles or over-clever people, I always cite words by their lexicographical lemma so that my readers can find them in a dictionary. What would be the use of giving an infinitive when it is the first principal part that is needed? **If I could do macrons, I would. Today, my historical journey on the pocket scroll will take us to the far gone, bygone days of yesteryear — 2004. That’s actually what it says. This book was my first contact with the Jesus Prayer, which has subsequently become a staple for my prayer life, alongside the more Protestant/evangelical prayers of my upbringing and the BCP. My mother’s only concern with the Jesus Prayer was one which she also has with much contemporary worship music — it is self-focussed. Nonetheless, she agreed that the idea of a simple, repetitive pathway to perpetual prayer was probably a good thing. The poems of St John of the Cross were a gift from my friend Emily. They’re interesting, an insight into a different approach to Christian prayer and mysticism — the original ‘Jesus is my boyfriend’ vision of Christian spirituality. But, unlike contemporary Christian music, at least St John of the Cross got his spirituality from the Bible (read Song of Songs with the majority tradition as the expression of God and His Church together for that to make sense). In those days, instead of swanky striped shirts with cufflinks made out of watch gears, I wore T-shirts and cargo pants (for my UK readers, those would be trousers). And my cargo pants (insert chuckle) had a pocket that was just the right size for two small pocket books/mass market paperbacks. So I put them in there. Somewhere on OC Transpo (city of Ottawa bus system) they got off without me. So. There I was, an eager, young undergrad, seeking the idealistic depths of constant prayer and union with the Divine. The OC Transpo did not have them in their lost and found. I like to always have a devotional/spiritual l book on the go (sometimes I absorb nothing, but it’s better than not seeking at all; sometimes I fail to have such a book on the go). So I plucked off my shelf a book I had found at Ottawa’s murky, three-storey used bookshop of dubious quality, the Book Market — Nine O’Clock in the Morning. This book, for those of you who don’t know it, is the story of the start of the ‘charismatic renewal’ in the Episcopal Church of the USA. I was captivated by the tale of how a high-church priest who didn’t go in for or even believe in such things became an outlet for the Holy Spirit pouring Himself upon His people with rich blessings, with healings and conversions alongside the ordinary miracles of daily life. This book, and a visit to Ottawa by Bishop Malcolm Harding of Anglican Renewal Ministries reminded me that, as a Christian indwelt by the power of the Holy Spirit, I already had all the resources I needed to enter into a deep experience of prayer — John of the Cross and The Way of a Pilgrim might be nice, might be helpful, but they are not necessary. This is an important lesson for bookish people like me. Some Christians should probably read more books. Some Christians should probably read fewer books. I should probably often put the books down and actually pray. Christ through his life, death, and resurrection, as well as the power of the indwelling Spirit, has already given me what I need to enter into deepest communion with the Divine. All I need to do is accept it. When we look back on my posts agonising over the fate/state of Anglicanism, I must admit that I do not regularly attend a Scottish Episcopal Church anyway. I spend my Sundays with the Free Church of Scotland (‘Wee Frees’) as well as a bi-weekly Bible study, and occasionally turn up at St. Andrew’s Orthodox Community, Edinburgh’s Eastern Orthodox Church, situated on the edge of the Meadows. I spent Sunday evening with the Wee Frees this week, and Tuesday with the Orthodox. Wednesday, for those who keep track, was the Mid-Feast of Pentecost in the Orthodox Church. So Tuesday evening’s vespers were the vespers for that event. I was surprised but pleased that there were three Lessons (to use Anglican terminology). We all sat in the chairs and benches that take up less than half the floor space of this church’s nave and prayed with Fr. Raphael. Most remained silent, but the woman behind me prayed the prayer very quietly with Fr. Raphael at times. I said it in my head or under my breath. I tried the technique I picked up from Catholic Franciscan John Michael Talbot of breathing in during ‘Lord Jesus Christ, Son of God,’ and breathing out during ‘have mercy upon us.’* Sometimes I prayed with my eyes closed, sometimes I looked at the icon of Christ on the iconostasis, other times I looked at the roundel on the ceiling of Christ Pantokrator (All-powerful) that takes the place of a dome in this little church. The effectg was very calming, especially with the breathing. No doubt there was something psychological about it, but I do not imagine for a moment that there was nothing spiritual going on. At the Name of Jesus, every knee shall bow, after all. There Christ stood in the icons, his face stern but not angry (I confess that sometimes in older Byzantine icons he looks angry to me). Almighty. 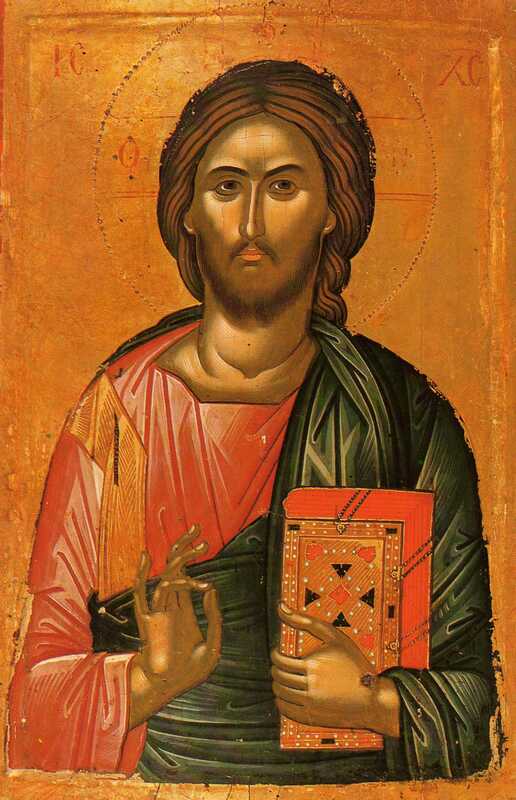 Pantokrator. Looking upon us gathered to pray to him for mercy. For a PhD student in the midst of working on a writing sample, a thesis proposal, a grant application, plans to visit around 30 monasteries in the next two years, and trying to keep his sanity, what greater mercy could there be than calm? I believe that through those Jesus Prayers, the Lord Jesus Christ had mercy on me. A sinner. 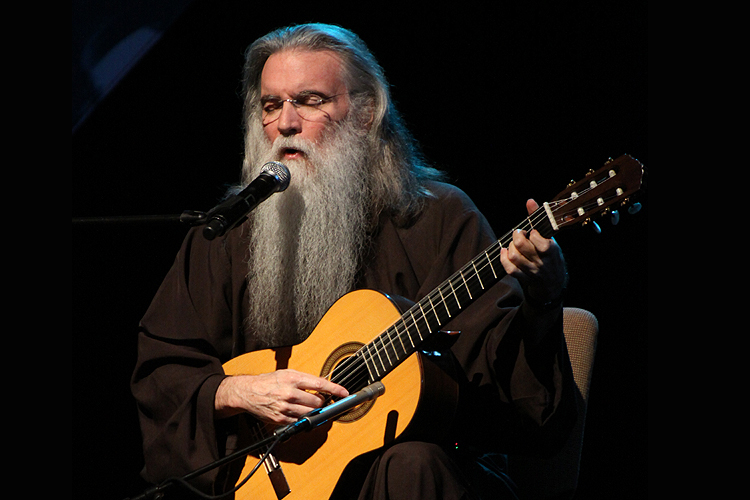 *See his book The Music of Creation. Note also his new song on the CD Worship and Bow Down that is about breathing prayer.